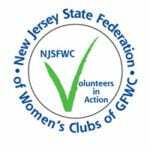 The Woman's Club of Old Tappan was organized in 1960, becoming a member of the GFWC and the NJSFWC in 1963. The club is non-political, non-sectarian and non-profit. The club's objectives are for charitable, educational and scientific purposes, concentrating on women's and children's issues. Meeting Time: 7:00 pm, on the third Tuesday of each month.